CFL light bulbs have become common in most houses due in great part to the fact that they use less energy than incandescent light bulbs. Other light bulbs, such as fluorescent, neon and ultraviolet light bulbs also contain mercury. The problem is that many people still aren’t aware of the fact that they contain mercury and that, if broken, precautions must be taken to protect against that mercury. Note that the mercury in these light bulbs is not really a health hazard as long as it is contained inside the sealed bulb. If and when the bulb breaks, however, care must be take to make sure that the mercury within is properly disposed of. Even if the bulb simply burns out without breaking, it must be properly recycled, not simply thrown in the trash. The EPA estimates the some 10 million mercury containing light bulbs are thrown in the trash each year, resulting in about 500 pounds of mercury accumulating in landfills each year. Only 20% of these light bulbs are being properly recycled, the rest are simply tossed out, often breaking in the trash can or on the way to the landfill. Check your local waste disposal management to find the center nearest you that allows you to drop off these light bulbs. Make a CFL light bulb carrier to make sure that the bulbs don’t get broken on the way to the recycle center. If a mercury containing light bulb should break, follow these 7 steps to make sure that you clean it up properly and don’t expose yourself or anyone in your home to mercury. While the small amount of mercury contained in a light bulb doesn’t pose any immediat threat to your health, mercury accumulates in the body over several years and never gets flushed out so the less exposure you have to mercury the better. Treat mercury containing light bulb with extreme care and make sure you clean up any breakage properly to minimize exposure. Meanwhile, do like I’m doing and slowly replace all your light bulbs with LED lights. LED light bulbs contain no mercury, they are incredibly energy efficient and outlast all other light bulbs (up to 30 years or more). LED lights come in all kinds (cool white, warm white, full spectrum, etc…) as well as in a variety of colors, even with RGB bulbs that can change to whatever color you choose. 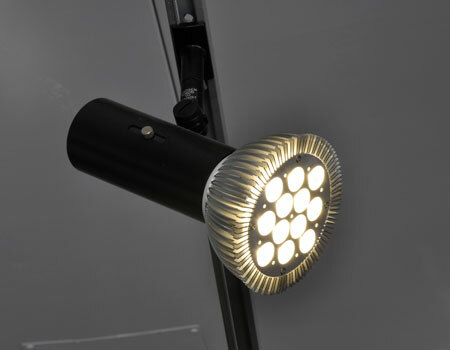 Check out the selection of LED bulbs at LEDandLights.com for example. While they are still more expensive than traditional bulbs at this time, the prices are slowly dropping and the fact that they are so much more energy efficient and don’t need to be replaced for 25-30 years means that the investment is worth it… not to mention the peace of mind knowing that you’ll get rid of all that mercury in your home. This entry was posted in General and tagged Bulbs, CFL, dangers, Fluorescent, Mercury, Poison. Bookmark the permalink.